This story was originally published in the Mar 2 print issue of Fourth Estate. Mason DREAMers is currently raising money to fund a scholarship to help lessen the burden of high tuition costs for undocumented students. Through their campaign launched on Indiegogo, the Mason organization has raised over $1,000, or about 5% of their $25,000 goal. The process and guidelines for a scholarship specifically geared towards undocumented students does not currently exist at Mason, so the Mason DREAMers, with the aid of the Office of Diversity, Inclusion and Multicultural Education, searched within the community to find a partner to help support their goal, said Jennifer Crewalk, assistant director of ODIME. That partner turned out to be the Dream Project, a tax-exempt registered 501(c)(3) charitable non-profit organization in the state of Virginia, that supports, advocates for, and mentors undocumented students in the Commonwealth seeking higher education. Applicants of the Mason DREAMer scholarship will apply directly through the VA Dream Project’s website and will be interviewed by a panel of Dream Project Board and local community members, but the funds will come from the Mason DREAMers online campaign. “The Dream Project [already] offers scholarships of $1,000 which scholars can reapply to each year. If we reach our goal of $25,000 and 25 George Mason bound students are selected for the Dream Project scholarship, then $1,000 will be awarded each of those 25 students,” said Dayana Torres, president of Mason DREAMers. In the case that the Mason DREAMers do not reach their goal of $25,000, the money raised will still go to the Dream Project who will then award as many scholarships as there are funds. Regardless of the amount, said Torres, all the money raised from the Indiegogo campaign will go to Mason students. Prospective recipients will be evaluated based on their academic achievement, leadership in the community, and perseverance. While the applicant need not be born outside of the United States, he or she must have at least one parent who was. For the Mason scholarship, the applicant must also have graduated from a Virginia high school and attend or plan to attend Mason. 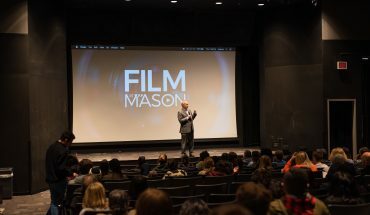 The Indiegogo campaign offers three “perks” to donors: a thank you card, a feature on the Mason DREAMers website, and a Mason DREAMers t-shirt. Also on the website is a video made with the support of ODIME to illustrate the realities that undocumented students face, such as discovering their undocumented status or realizing that they cannot afford college without private scholarships. 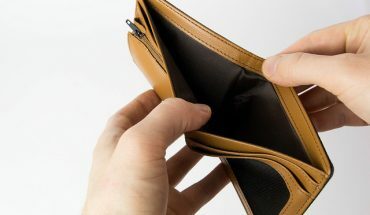 In Virginia, undocumented students who are ineligible for President Obama’s Deferred Action for Childhood Arrivals Policy have the added obstacle of having to pay out-of-state tuition rates regardless of whether or not they would be granted traditional in-state residency status. This can make this cost of a higher education prohibitive. “Each year, more and more undocumented students are barred from accessing college. Many of my friends who are undocumented, who are brilliant scholars and want to come to college, are barred because of their immigration status and financial barriers,” said Rodrigo Velasquez, a member of Mason DREAMers and one of the organizers of the scholarship. DREAMers derive their name from the acronym for the Development, Relief, and Education for Alien Minors Act first introduced to Congress in 2001. Organizations for the advancement of undocumented students exist not only around Virginia, but also across the nation, and they advocate for the passage of legislation such as the DREAM Act and its counterparts on the state level. In Virginia, the focus is on Attorney General Mark Herring’s directive allowing certain undocumented students to pay in-state tuition rates. 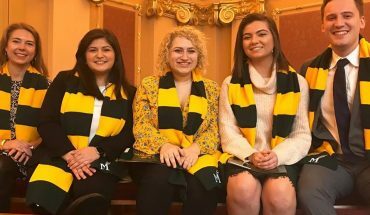 Within the Commonwealth, Mason is the only university that offers need-based financial aid to undocumented students, treating them like international students, according to getmetocollege.org, an organization which helps students navigate the application process. The University of Virginia allows undocumented students to apply to merit based scholarships, while the College of William and Mary only allows undocumented students to use private loans. According to a publication on the UVA website, both those schools and many others in Virginia place blocks on a student’s enrollment after learning of their undocumented status. Crewalk described the dismay many undocumented students feel, after working hard in high school, of not getting response from universities after disclosing their undocumented status. Mason, she says, offers hope. “Undocumented status,” originally read “illegal status,” in the second to last paragraph.